Baby Cargo ~ Georgi Bag Review + Giveaway! I love it when I come across a product that simplifies my life. Women are multitasked and especially mothers. We want companies to make products that fit out needs and most importantly several needs at once! At this stage in my life I currently need three types of bags. 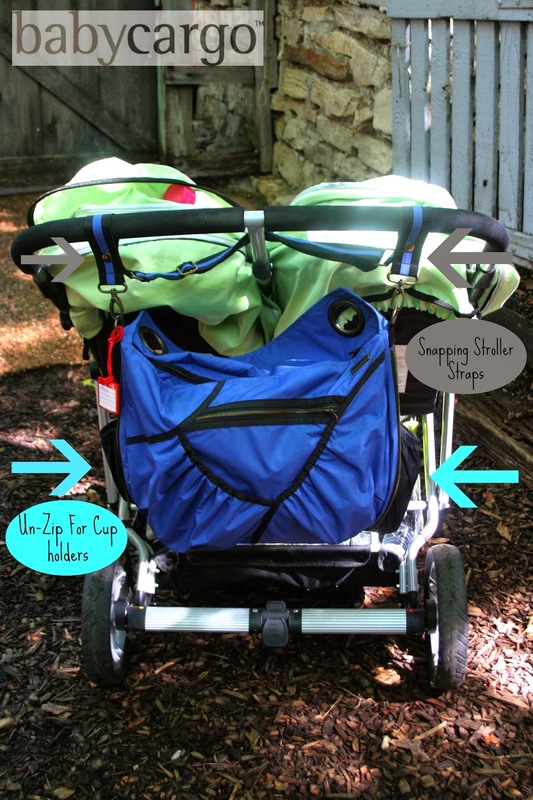 1) Diaper bag 2) Purse and 3) Stroller bag. Before receiving the GeorgiBag I was swapping between three bags and sometimes needed two at the same time. Not only is it a pain but I ended up leaving my wallet at home on several occasions. I am elated that Baby Cargo has realized a mothers needs and combined all three bags into one the Georgi Bag! This bag is designed so well and the fabric is fashionable but easy to clean. It functions as a diaper bag but looks like a purse. I have had people complement me on my purse and then I unzip it and show them how it’s a diaper bag too. Then there is the part of it being a stroller bag, Baby Cargo did not sacrifice fashion when designing the Georgi Bag to be a strollerbag. The stroller straps are built into the purse strap and to change it to hang from the stroller you just snap the buttons together. I use it this way with my double stroller. 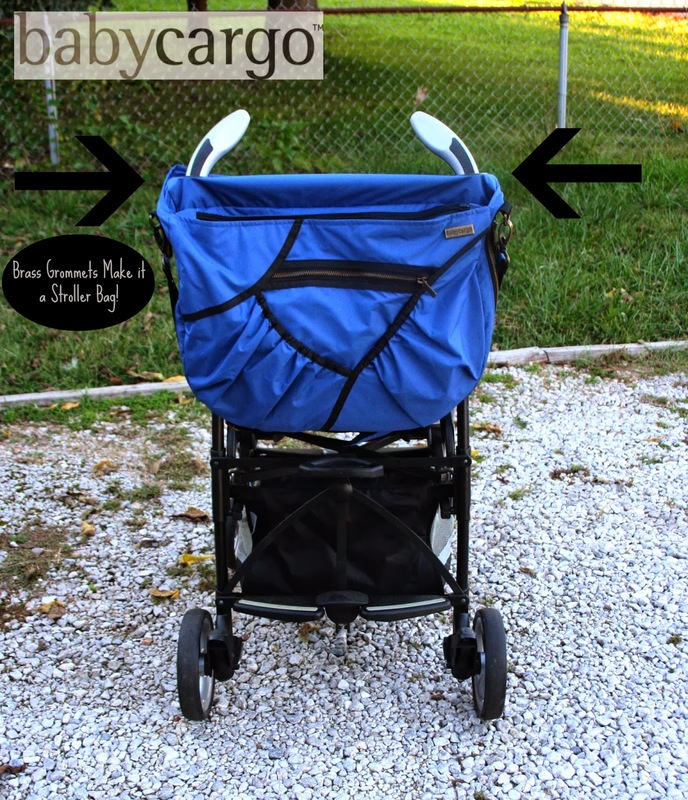 If you want to use the Georgi bag on your single stroller you just slide the brass grommets over the handles. I also find the side pockets that unzip perfect for holding our drinks while we stroll. There are several pockets on the outside and inside as well. I love this for my phone, binky’s, keys, etc. On the inside of the bag there are two sections so for me I keep all my stuff on one side and then all the diaper bag stuff on the other. My old diaper bag did not have this feature and I spent a lot of time digging for things. I would absolutely recommend this diaper bag to my friends. It is fashionable and makes my life easier! 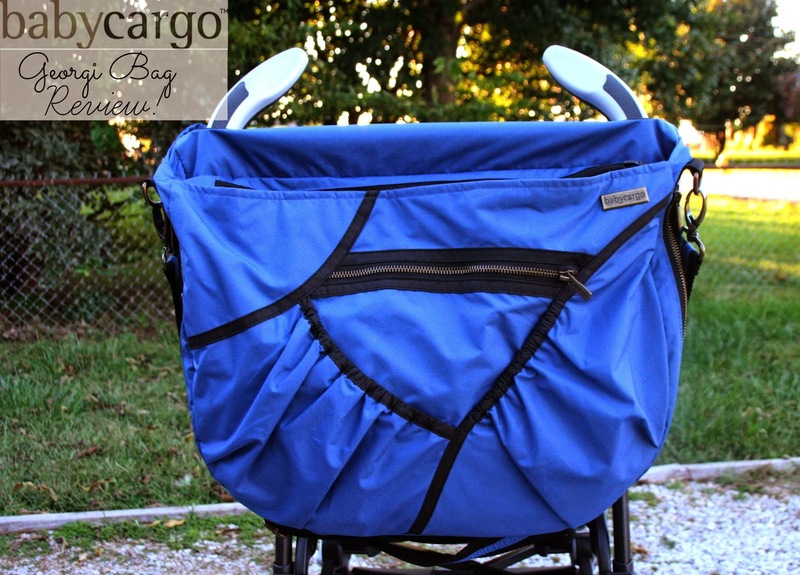 Connect with Baby Cargo on Facebook, Twitter, Instagram, and Pinterest! Purchase the Geogri Bag on Amazon or at Target! Giveaway: One reader will a Geogri Bag. Open to US only 18+ Giveaway will end 10/28/13 at 12:00am. Fill out the Rafflecopter form to be entered! I like the 300 Series Stroller! Thanks so much for the fantastic giveaway! The 300 Series Stroller would be an awesome giveaway! I'd love to see a review on the Stroller 300 Series! 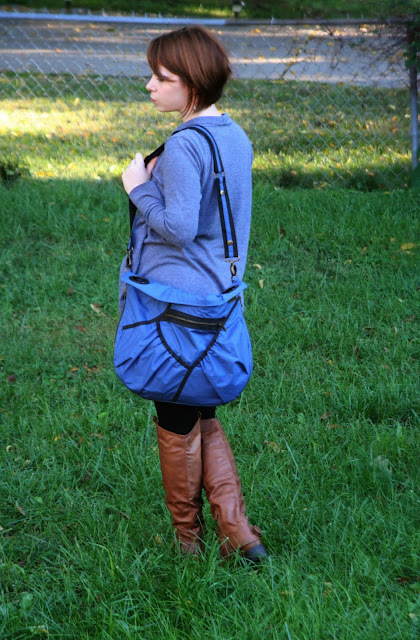 Georgi Bag is my dream diaper bag! I've been wishing for this bag since I bought my Baby Cargo 300 Stroller!! One of their awesome strollers - either a 200 series or 300 series would be awesome! Any of the strollers, but I especially like the Stroller 100 Series in Army/Taffy. I love their single strollers, 100, 200 or 300 would be nice! I love the Georgi bag!! I like all the strollers, You should give away one of those! Would love to see a stroller! The Stroller 300 Series is very nice! I would love to see the 300 Series Stroller being given away. I would love to see the Stroller 100 Series in Army/Taffy.